Home gyms can seem very daunting and expensive. But, if done thoughtfully and frugally, they can be an amazing addition to your home, without breaking the bank. These 5 accessories below will leave you never missing the community gym again. The Bosu ball is the best investment I ever made for my home gym. It stands for: ‘both sides up,’ and is a functional, balance tool. Not only does the Bosu ball offer functionality, it also offers versatility. You can do anything on the Bosu- planks, squats, pushups, deadlifts, step ups, crunches, rows; there really isn’t much you can’t do. Both the rounded and flat surface of the Bosu require balance training and stabilization, resulting in core activation. A study by the Journal of Traditional and Complementary Medicine analyzed instability training for health and performance. They found that “instability resistance training may facilitate the neural adaptation of trunk-stabilizing muscles, resulting in an improvement in trunk stability. They concluded that such training is more effective for the improvement of postural stability and power outputs than traditional training on a stable surface in individuals after lower-limb injuries,” (Zemkova, 2016). It should be noted that strength training on an unstable surface should be done carefully. You can not lift as heavy, because balance is compromised. The point of the Bosu isn’t to max out on squats or bench presses. Focus on functional movements, and postural alignment. While on the Bosu, less is more. Beginners should stick to body weight, and more advanced can add additional resistance, if desired. The TRX suspension system is another effective functional, balancing tool, that you can use anywhere. Suspension training engages the core in every exercise. 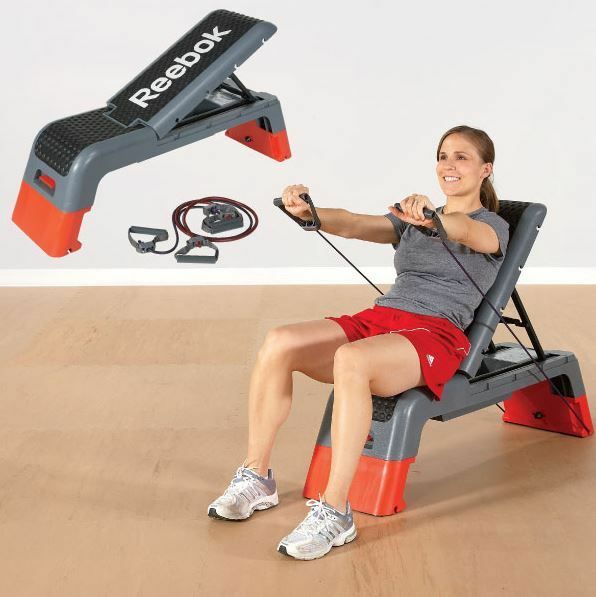 You can tweak the movements and exercises, allowing you to change the intensity in your workouts. Simply changing your body position, increases or decreases proportions of your body weight against gravity. There is science-based evidence to back up the effects of suspension training. The American Council on Exercise (ACE) completed an 8 week study, on 16 healthy men and women (ranging from 21-71 years old). The study analyzed the long term effects of TRX training. Participants engaged in a 60 minute TRX class three times a week for eight weeks. 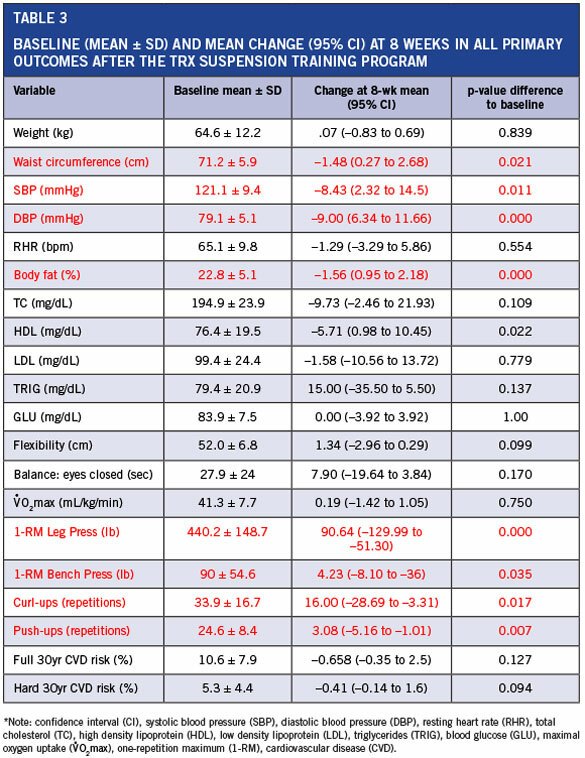 The researchers measured various physical fitness and health markers, pre and post study. “Elastic training improves measures of strength, size and function. Elastic resistance follows a different pattern in relation to joint angle in comparison to conventional training methods such as free weights. In single-joint movements, muscle activity of the prime movers is greatest at end ranges (the contracted position). This could enhance transient ischemic conditions, increase fatigue and metabolic stress and potentially increase hypertrophy. In multi-joint movements, muscle activity of the prime movers can be altered potentially either emphasizing different muscles (leading to preferential hypertrophy) or different parts of the same muscle (leading to regional hypertrophy),” (Beardsley). “Inactive adults experience a 3% to 8% loss of muscle mass per decade, accompanied by resting metabolic rate reduction and fat accumulation. Ten weeks of resistance training may increase lean weight by 1.4 kg, increase resting metabolic rate by 7%, and reduce fat weight by 1.8 kg. Benefits of resistance training include improved physical performance, movement control, walking speed, functional independence, cognitive abilities, and self-esteem. Resistance training may assist prevention and management of type 2 diabetes by decreasing visceral fat, reducing HbA1c, increasing the density of glucose transporter type 4, and improving insulin sensitivity. Resistance training may enhance cardiovascular health, by reducing resting blood pressure, decreasing low-density lipoprotein cholesterol and triglycerides, and increasing high-density lipoprotein cholesterol. Resistance training may promote bone development, with studies showing 1% to 3% increase in bone mineral density. Resistance training may be effective for reducing low back pain and easing discomfort associated with arthritis and fibromyalgia and has been shown to reverse specific aging factors in skeletal muscle, ” (Westcott, 2012). Step aerobics is a fun, and engaging way to perform aerobic/cardiovascular exercise. A 12 week study on step aerobics (SA) found that, “12 weeks of SA training can promote improvements in the functional fitness of apparently healthy older women. Therefore, SA can be considered an effective exercise modality to prevent the loss of functional fitness and its associated consequence,” (Hallage, Haile, Krause, Silvia, 2010). Beardsley, Chris. Elastic Resistance Training. Strength and Conditioning Research. Retrieved from https://www.strengthandconditioningresearch.com/elastic-resistance-training/. Hallage, Tatiane., Haile, Luke., Krause, Maressa., Silva, Sergio. (2010). The Effects of 12 Weeks of Step Aerobics Training on Functional Fitness of Elderly Women. Available from: https://www.researchgate.net/publication/45200321_The_Effects_of_12_Weeks_of_Step_Aerobics_Training_on_Functional_Fitness_of_Elderly_Women [accessed Dec 06 2017]. Westcott, WL. (2012). Resistance training is medicine: effects of strength training on health. Department of Exercise Science, Quincy College, Quincy, MA 02169, USA. 11(4):209-16. doi: 10Retrieved from https://www.ncbi.nlm.nih.gov/pubmed/22777332. *I do not own these images.